The Virginia Shop at the Library of Virginia is open Monday through Saturday from 10:00 a.m. until 4:00 p.m. with extended hours during evening and weekend public events. 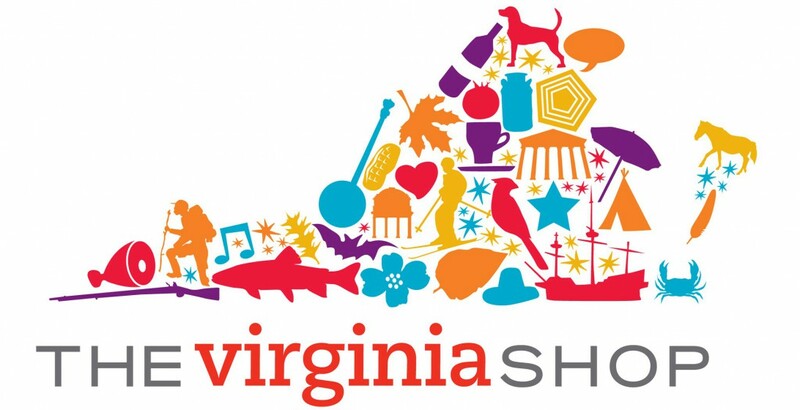 The Virginia Shop regularly features products made in and inspired by Virginia, as well as special works by artists and artisans from all corners of the commonwealth. Please visit us on the Web for information regarding book talks at the Library, artist demonstrations, First Friday events, and our new book club, Books on Broad. If you have questions or would like to place an order, please contact the Virginia Shop staff at 804.692.3524 or shop@thevirginiashop.org and we’d be happy to help you. Please check out our new location at the Virginia State Capitol! Located within the visitor entrance on 10th & Bank Streets, the shop is open Monday through Saturday from 9:00 a.m. until 5:00 p.m. and on Sundays from 1:00 p.m. until 5:00 p.m. For holiday hours, please call 804.698.7661 or email us at shop@thevirginiashop.org.